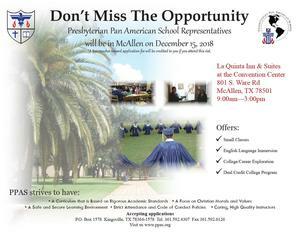 School representatives will be at the La Quinta Inn & Suites (Convention Center) 801 S. Ware Rd. 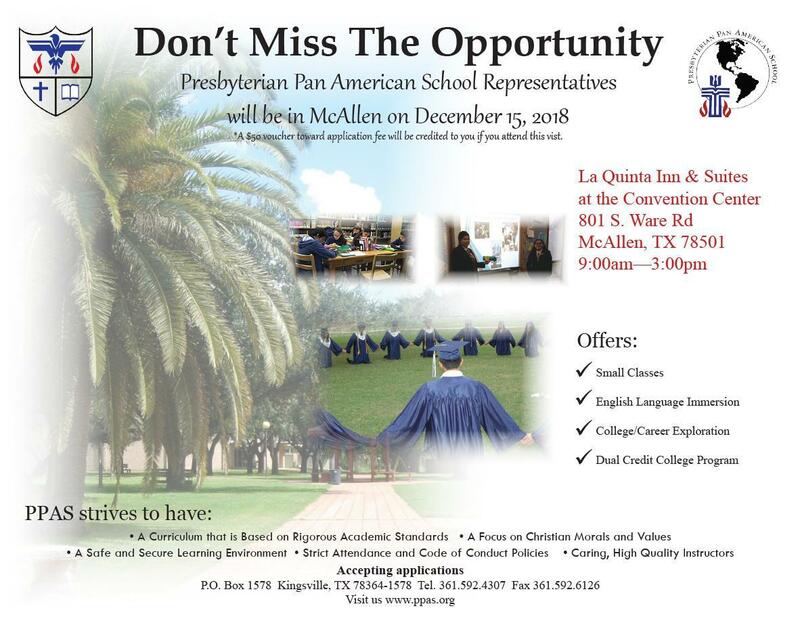 in McAllen on Saturday, December 15 from 9:00 a.m. to 3:00 p.m. This is a great opportunity for prospective students and families to learn about our school. A $50 voucher toward application fee will be credited for those attending this event.